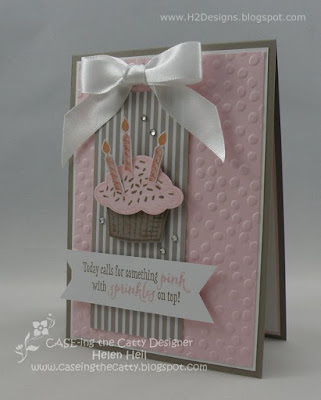 H2 Designs: CASE-ing the Catty #32 - Sneak Peek Week - Sprinkles of Life! 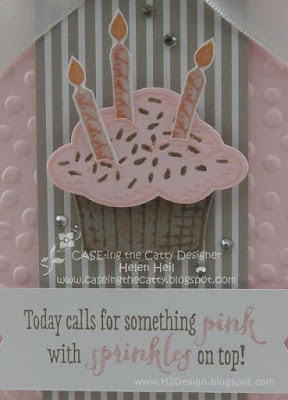 CASE-ing the Catty #32 - Sneak Peek Week - Sprinkles of Life! So this week the Crew at CASE-ing the Catty are CASE-ing from the new catty & showcasing some of the fabulous products that will be available. 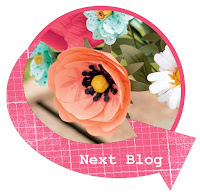 You can hop your way around all the blogs to see some beautiful sneak peeks. We have added some new members to the CTC Crew, so now there are even more projects to inspire you. How amazing was Alison's project? :) At the end of this post you will find a link to hop to the next blog. You can also find a full list of participating blogs on the CASE-ing the Catty blog (here). 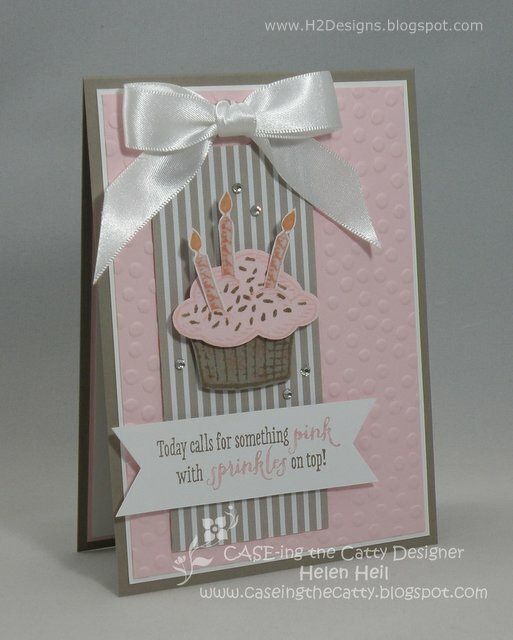 If you have a new catalogue already, you will find this set & the tag that inspired my card on the inside back cover. 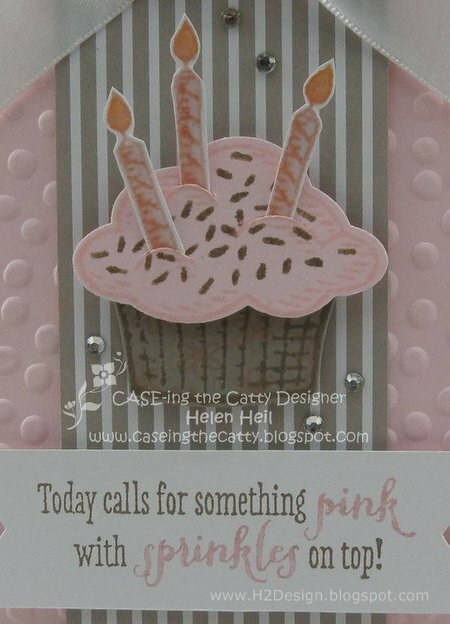 As well as the stamp set, I have used some DSP from the new 6 x 6 inch paper stack called Cherry On Top & a 2015-17 InColor cardstock called Tip Top Taupe. I have also used two new punches - the Tree Builder (to punch out the cupcake frosting) & the awesome Banner Triple punch (to create the fishtail ends on the sentiment banner). ♥ it!